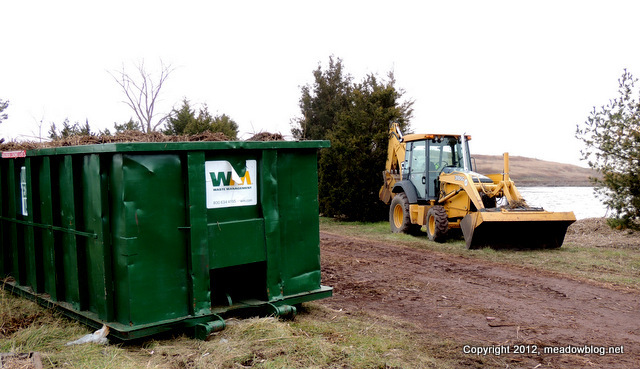 Good news: Work crews are loading up many Dumpsters' worth of debris this week in Harrier Meadow, the next major step to getting this gem back into shape. This photo — featuring a full Dumpster — was taken this afternoon. A Big Thank You to Our Cleanup Volunteers! The Meadowlands Commission and the Bergen County Aububon Society want to thank everyone who volunteered to help the Meadowlands' parks and natural areas recover from the huge mess left by Hurricane Sandy. 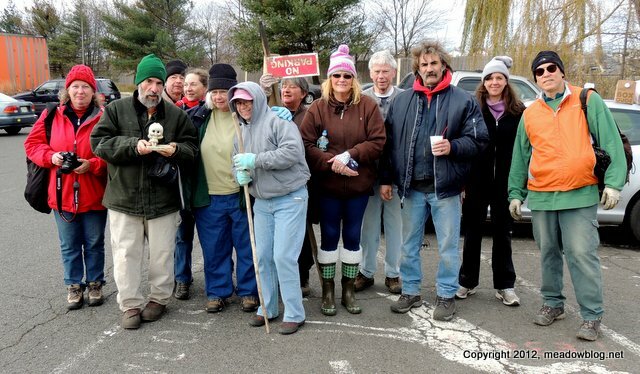 All told, volunteers logged nearly 270 hours cleaning up Harrier Meadow, Mill Creek Marsh and parts of DeKorte Park — and did an awesome job. Now that holidays have arrived, and looming uncertainty over winter weather (snow and freezing temperatures), we think it best to suspend our cleanups until March. Note: The Harrier Meadow cleanup scheduled for Sunday, Dec. 30, has been canceled.